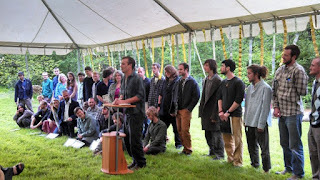 The Alderleaf Wilderness Certification Program school year has come to an end with graduation day, this Saturday May 25. Many friends and family members came to Alderleaf to help us to support and celebrate this big day. We had several students speakers sharing about their year, as well as short speeches from all of the staff. The potluck was overflowing with so much different food, including a great deal of salmon. 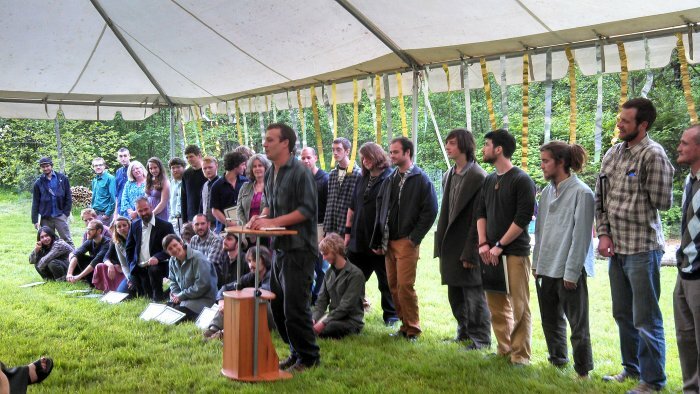 Here student Gabe speaks on behalf of Cohort 2, and shares from the heart. Congratulations, graduates! 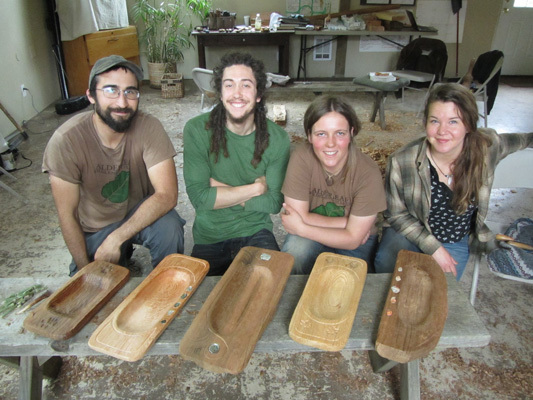 We knew you could do it and are honored to have been part of your journey. We hope to see you thrive in the world beyond Alderleaf, and know you will do good work in the world. Thank you, and thank you to everyone who has supported all of us this year!! The Alderleaf Wilderness Tracking Apprenticeship took a trip out to visit an island in Puget Sound to study its unique fauna. 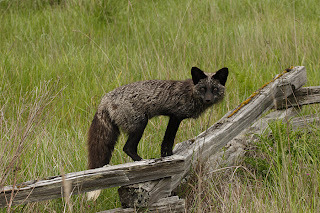 We were most interested in closely observing the red foxes and European rabbits. We hoped to get at least a distance view of a fox. But instead, we hit the jackpot and saw a total of 13 different foxes in 1 day!! 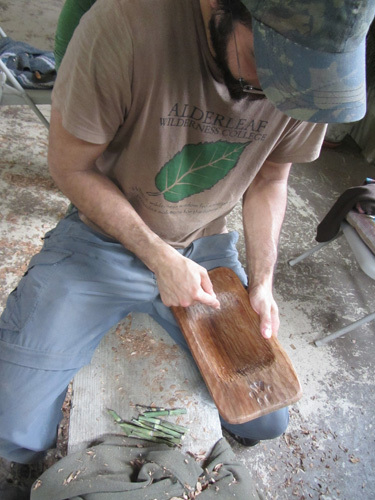 It was an incredible opportunity to learn more about these animals natural history first hand. 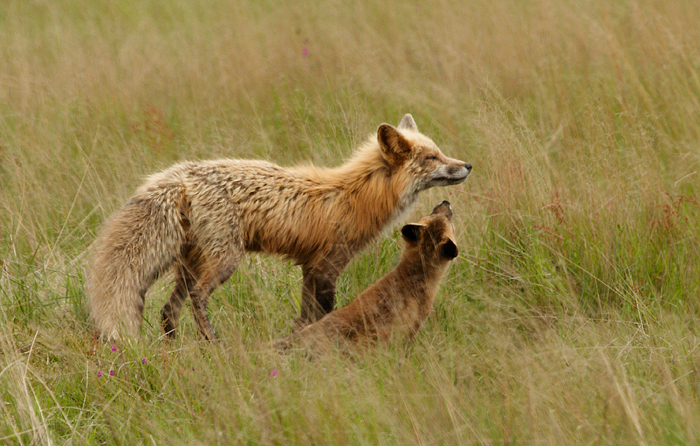 Here the female fox (called a vixen) interacts with a young fox (called a kit). The kit is begging her for food by licking and poking at her muzzle. Here is another kit from the same litter. This one is a smoky blue-gray color. Red foxes are known to have 4 different possible color morphs: red, cross, silver and black. This is a close up of another one of the kits, this one is the runt of the litter. It was the smallest, and most trusting of the group. 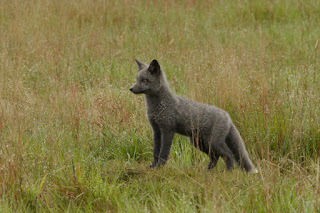 It also was the only one in the litter that showed a coat that had the "cross fox" pattern to it. That is, a darker line of fur down the back, from the top of the head to the tail, and another line across the shoulders. This individual was particularly beautiful. In color, it is intermediate between black and silver. Notice how easily it balances on this fence post. 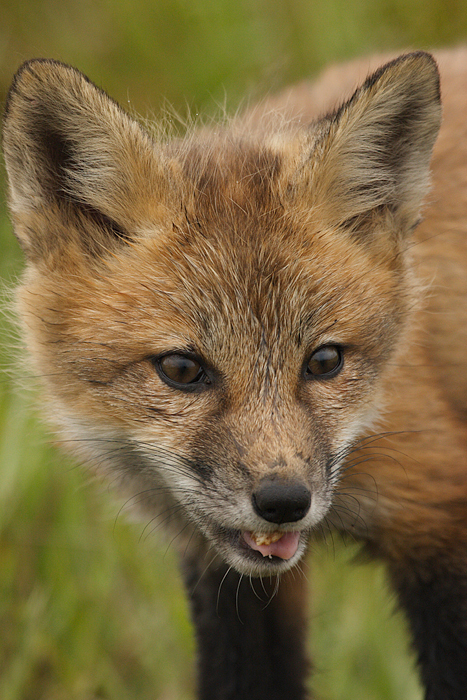 Foxes are incredibly agile and light on their feet. We also observed the European rabbits, including one that was carried in to feed the fox kits. There was also some time spent observing the life along the seashore. We were lucky enough to see a river otter foraging and eating fish among the rocks and kelp. 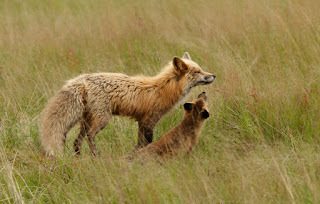 It was a truly amazing to have such an intimate view of wildlife, especially the foxes. 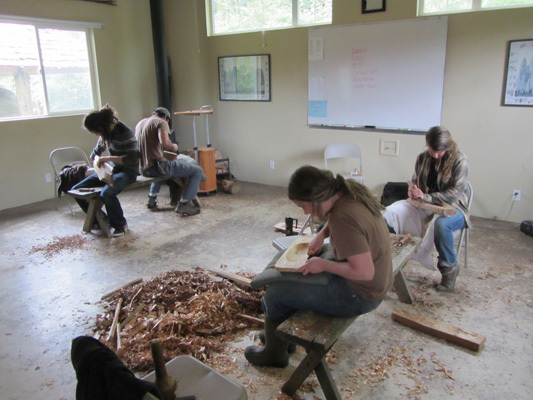 Students in the Wilderness Instructor Apprenticeship at Alderleaf learned advanced wood carving skills from guest teacher (and expert ethnobotanist) Heidi Bohan, author of "The People of Cascadia". 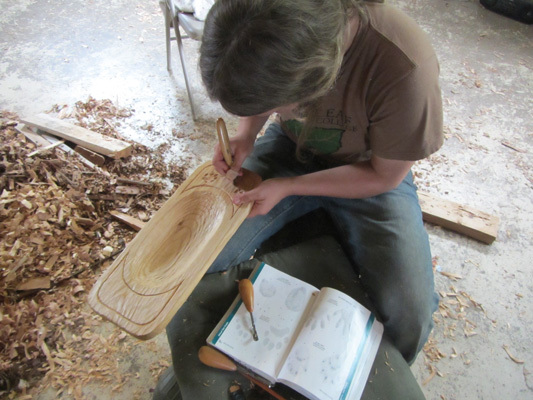 Heidi taught the apprentices how to use a variety of different carving tools including adzes and curved blades, as part of a project making carved platters. Check out the photos below. Jamie carving animal track details into her platter. Everyone was focused and fully immersed in the project. Quite a pile of wood shavings! Jeremy deepens the bowl and adds bobcat track details. Everybody ended the day proud of their work and excited about their newly acquired advanced wood carving skills.